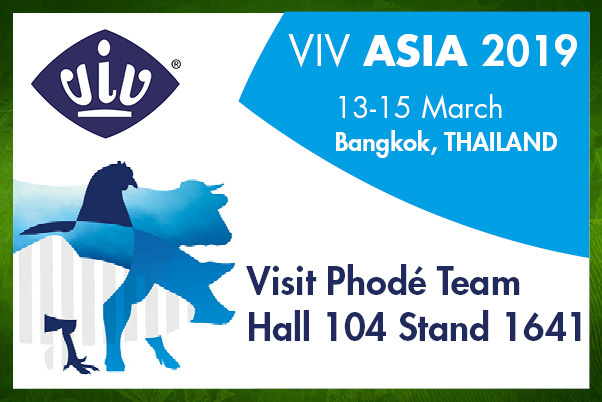 VIV Asia is back on 13th-15th March 2019 as Asia’s outstanding international feed-to-food event covering all species and sectors of the animal protein value chain. VIV Asia is held biennially and more than 50,000 visits are expected in this new edition. Phodé will exhibit Hall 104, Booth 1641.